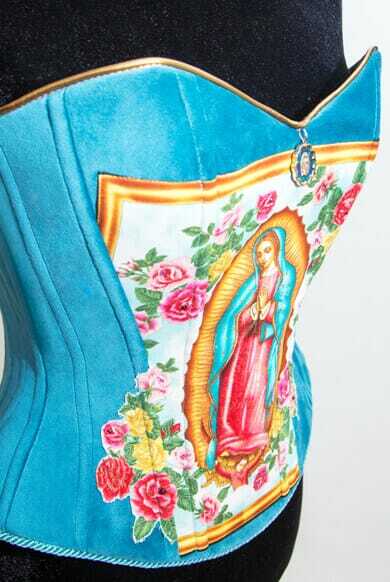 The body of this corset is made in beautiful blue velvet, the color of Our Lady of Guadalupe’s mantle and the color worn by royalty. 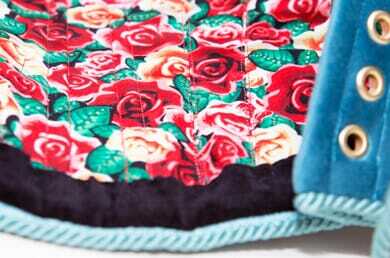 This fabric exudes a level of deluxe quality through just one touch. 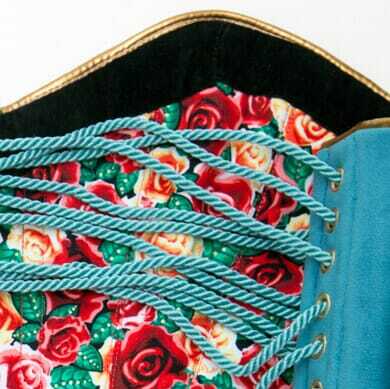 The printed cotton-lining features the miraculous Spanish roses in vibrant colors of red, pink and yellow that are symbolic to the Aztec princess. 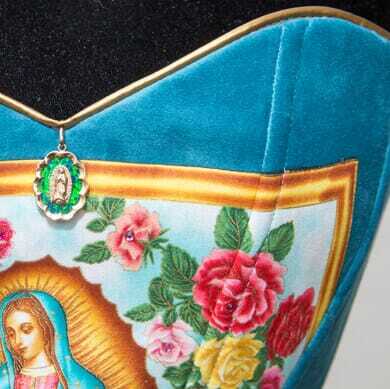 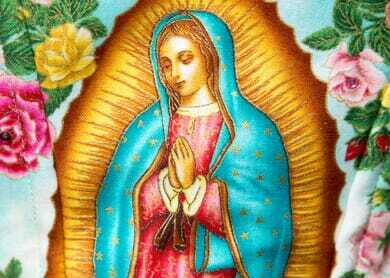 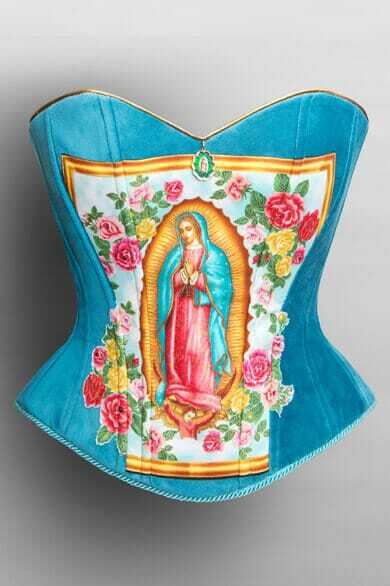 Read more about the Our Lady of Guadalupe corset in A Heavenly Corset.